Payment Plans → 4 equal monthly payments of $800 ea. The investment includes unlimited yoga classes at Kula Yoga GR throughout the duration of teacher training. I was born and raised in Chicago, where I began practicing yoga in high school. A friend took me to a beginner's class, and I was hooked right away. I completed my first 200-hour teacher training through CorePower Yoga in Chicago before moving to Seattle. I had no intention of teaching yoga before I entered my first teacher training, but I learned so much about myself and my practice during those months. I realized how much I wanted to share all of what I learned and continue to learn with other people. I deepened my understanding of yoga with two more teacher trainings in Seattle before moving to Grand Rapids. My classes are accessible and challenging, with a focus on safe alignment, strong breath, and pushing limits. I created Kula Yoga, because I wanted to bring a warm, welcoming, beautiful space and experience to my community in Grand Rapids. Kula is the spot where you can show up on your mat, just as you are, move through your practice, and spend time with your neighbors. 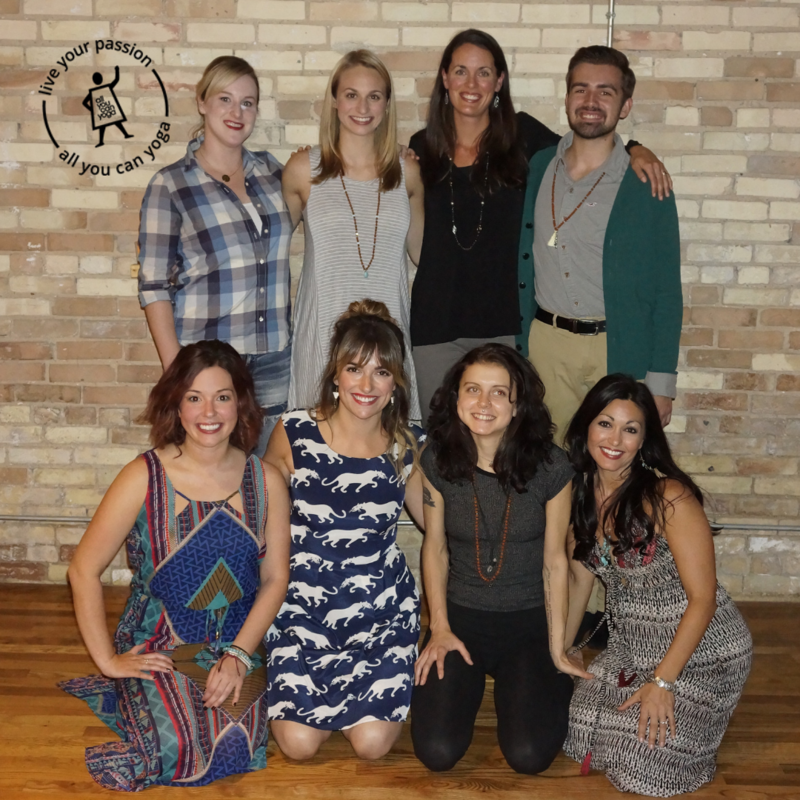 I am honored to facilitate the teacher training experience for yogis in and around Grand Rapids. After eight years in education working with elementary and middle school students, I've realized that teaching is truly my calling. I love to present the material covered in teacher training in fun ways that help solidify the information to those learning it, as well as make the information applicable to their daily lives. My teacher training groups stay small--I cap the number of participants to just ten--in order to provide each individual person the time and attention they need and deserve. By committing to small groups and holding our sessions in the intimate setting of the studio, teacher trainees forms close bonds that develop into true friendships. I'm humbled and blessed to be a witness to such journeys. Namaste. A non-refundable deposit of $800 is due upon enrollment to hold your spot in this teacher training program. Once the program begins on the scheduled date, no payment refunds will be given.